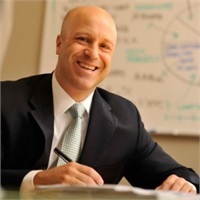 Matthew Scarafoni is co-founder of Berkshire Fairfield Insurance Agency, a firm designed to complement the employee benefits and wealth management divisions established by Matt over 20 years ago. A licensed Property & Casualty broker, Matt lends his industry and entrepreneurial experience to lead the company’s growth and innovation initiatives as well as community outreach. A devoted supporter of both clients and Berkshire County, Matt has held or currently holds leadership roles with several community development and charitable organizations including Berkshire Medical Center Annual Appeal and Golf Tournament, Chair; Downtown Pittsfield, Inc., board; The Country Club of Pittsfield, board; Pittsfield Rotary Club, board; Pittsfield Rotary Foundation, board; Berkshire Center for Families and Children, board; The Legatus Catholic Business Leaders Organization, and the Berkshire County Chapter of the American Red Cross, board. Matt is a graduate of Georgetown University.